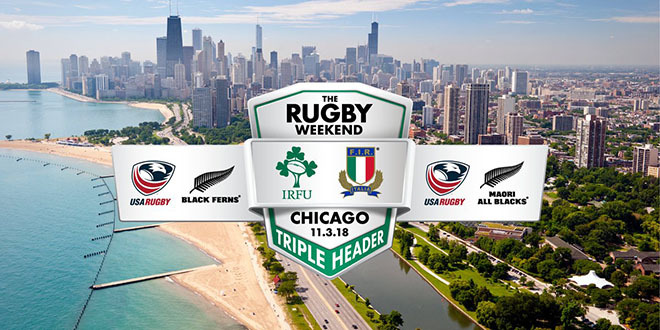 November 3rd sees the return of international rugby to Chicago and LPRFC will be there. We have put together a pre-game brunch and beer package that also includes a ticket to the game. The pre-game venue is Joes on Weed (940 W. Weed Street) and goes from 11-2. This will include a breakfast bar, Miller/Coors beers and Bloody Mary’s. UPDATE! – We will be running a couple of buses to and from the game. The buses to the game will leave at 1:30 pm from Joes. Buses back will leave from the museum campus after the final game. If you wish to go to the stadium or return from the stadium at other times, you are on your own. The schedule for the games is as follows. There are only a small number of tickets remaining but this is now open to anyone who wishes to purchase and no limit on number (with exception of what we have left). Having said that, we hope current players, Old Boys and our supporters will join us for this day out. Please use the link below to pay for tickets.